Fine Art students at The Sixth Form College, Solihull are finding out what working as a freelance artist is really like, as they take on a live brief with an equality and diversity theme.Fine Art students at The Sixth Form College, Solihull are finding out what working as a freelance artist is really like, as they take on a live brief with an equality and diversity theme. The A level students have been set a brief by the College’s Learning Resource Centre to produce an A3 portrait that comments on or celebrates equality and diversity. They explored this concept in a recent session on British Values, including looking at examples of other artists who have produced works on this theme. Examples given to the students include Shin Young An, Gary Hume, Frida Khalo, Richard Billingham, Chris Ofili, Artemisia Gentileschi, Andrew Hunt, Tanya Raabe and Gillian Wearing. These artists will all inspire the students to produce their own portraits. Students have been told that the subject of the portrait must be living and could be a family member, a friend or themselves. The work will be presented in the Learning Resource Centre and prizes will be awarded for outstanding work that successfully fulfils the brief. 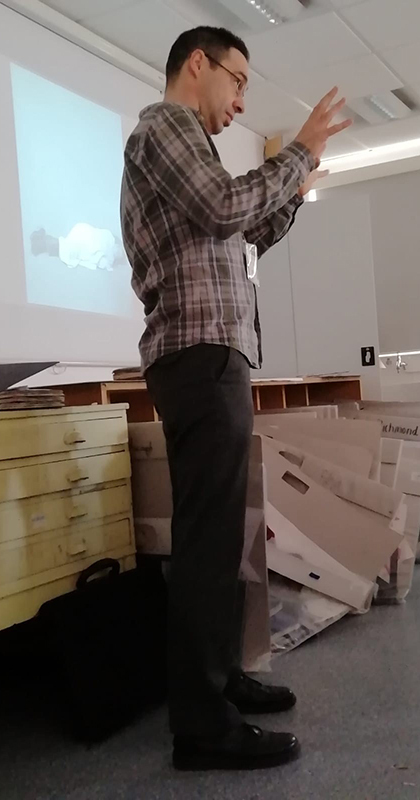 Eminent artist Stephen Earl Rogers, who was shortlisted for the BP Portrait Award at the National Portrait Gallery, visited the College recently to help launch this live brief. He shared his experiences with an informative presentation, which will guide the students in this project.